Someone once told me that “Video is UP next…” and it got me thinking about what a video essentially is. I’m used to the saying that “a picture is worth a thousand words,” now i hear that it has evolved to “a moving picture is worth a million people”. A video is literally a sequence of moving images or pictures, so it’s safe to say that a video is worth a million or more people. The essence of advertising is communicating who you are to the whole world and one of the easiest ways to convey this is through a video as “it’s better to say it but best to show it”. According to the Video Landscape report by IAB, digital video – especially mobile video – is the fastest growing video type by consumption. Cisco, on the other hand, forecasts global consumer internet video traffic will make up 80% of all consumer internet traffic by 2019, up from 64% in 2014. It’s, therefore, a no-brainer that video content and ads are growing in popularity as better internet speed performance and online advancements make it fast and easy to watch videos on-the-go. In recent times, there has been a convergence of video consumption and distribution that’s literally driven new advertising opportunities. It is quite accurate to say that consumers are embracing digital video and it’s only right that marketers get involved as well because the sight, sound, and motion of video storytelling has unique advantages in attracting and engaging consumers, and also driving actions. Major social network platforms are prioritising video as a central part of their strategy and these mobile-centric platforms are increasingly becoming key components of video marketing strategies. Notable players in this space include Facebook, Twitter and Instagram, all have recently launched the ‘live video’ feature on their platforms. According to Business Insider, video ads have an average click-through rate of 1.84% – higher than any other digital format and online video ads are getting three times more clicks on average than other digital ad formats (mobile, display, and rich media ads). Helping to recapture elusive audiences – reports have suggested that TV ratings are declining and viewers of a certain age are turning to their tablets, laptops and mobile devices to catch up on their favourite TV series and shows, as audiences tuning into live shows are significantly decreasing. More automated and precise buying – with programmatic advertising, advertisers can automate their digital buying and precisely target consumers that only match their reach criteria. Better accountability – unlike traditional TV with a broad audience and segmentation of demographic data about viewers, video advertising is better targeted and better data about the viewer or individual is gathered and also the actions taken by that individual which impacts data analysis. 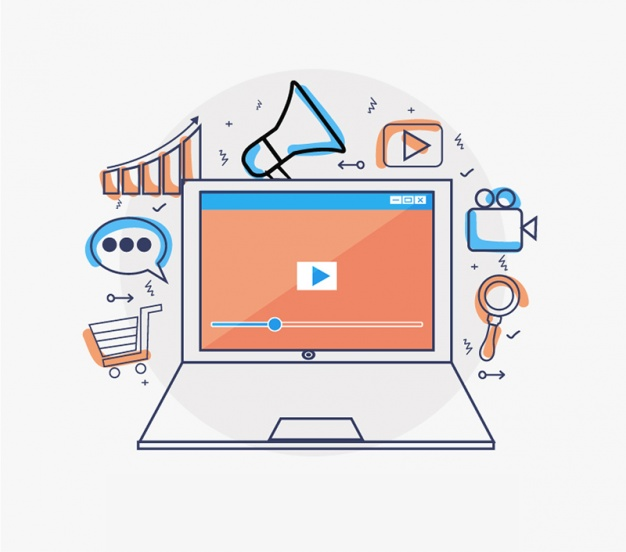 A well-branded video ad makes the audience feel an emotional connection with the brand thus increasing brand awareness and loyalty. It’s easily remembered if content is well delivered and has a ‘virality’ effect as users love to share informative, entertaining or humorous videos. Programmatic buying – ability to deliver the brand’s message at scale, enriched with operator data, with emphasis on performance and real-time optimisation of a campaign. 1. In-banner video ad: This is an ad creative in video format that displays as part of or in place of a display (banner) ad. 2. In-feed video ad: A video ad that displays as part of a social feed positioned in place of a post (but clearly labelled as an ad). 3. In-page video ad: This is an ad creative in video format that displays within an HTML page just as a display ad (banner) would. 4. 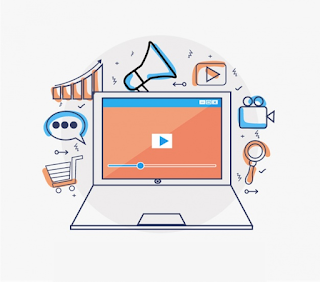 In-Stream Video Ads: Commonly seen on youtube, this ad is played before, during or after the streaming content that the consumer has requested. This format is frequently used to monetize the content that the publisher is delivering. In-Stream ads can accompany short or long form streaming content and are executed in a player environment. 5. In-Text Video Ads: Delivered from highlighted words and phrases within the text of web content. The ads are user activated and delivered only when a user chooses to move their mouse over a relevant word or phrase. 6. Interactive Video Ads: These ads completely take over the screen and pause the video content while they play. They allow a variety of interactions, like clicking for more information, signing up for a newsletter etc., and are usually a mix of video, animation or static images as well as interactive elements. 7. Companion Video Ads: Companion ads, by definition, play alongside the video. They are displayed on the web page around the video player and often take the form of display banner ads. They offer a persistent visual for a brand or product while the video is being watched, without taking up video player space. They can include text, static images or rich media. 8. Sponsorship graphics: Graphics and video components that are displayed in the video player, around or adjacent to the video content playback. These graphics are usually persistent through the entire video player presence and offer interactivity outside of the video playback window. Essentially, they’re branded video player skins that expand outside of the video player main window. May run just during the ad or be visible through the whole playback of the video content. For brands and advertisers, it really is time to start working on those video narratives and creative contents because the good news is that we can help leverage on our rich inventory and distribution channels to get those video ads in the right format, to the right audience, in the right context and at the right time. What is the purpose of the video and how it will help the brand? What will it achieve and what message is it trying to convey? With clearly defined answers to the above, your video ad might just be good to go. Temi is the product manager and specialist for Twinpine, the mobile advertising unit of Terragon group and is responsible for the general oversight and management of current & new mobile development initiatives of the business.